The Minnesota House voted 106-21 Monday night for a bill that bans people from using hand held phones while driving. 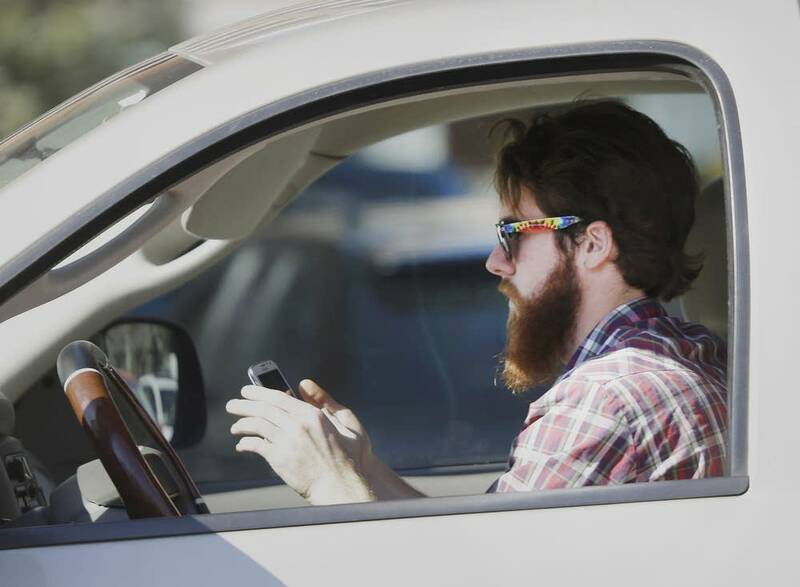 The law already bans motorists from emailing, texting and web browsing while driving. Rep. Frank Hornstein, DFL- Minneapolis, the chair of the House transportation committee, is among those who want hand-held cellphones added to the list. • Your thoughts: What do you want to see come out of this legislative session? "We know this bill saves lives. In the 16 other states and District of Columbia where this bill has been enacted there's been an average of a 16 percent drop in fatalities," Hornstein said. Under Hornstein's bill, there would be exceptions for calls made in hands-free mode, for emergency situations and for the activation of one-touch functions on devices. Hornstein said the bill is a big step for improving safety. But he concedes that a hands-free requirement will not eliminate all forms of distracted driving. "The bottom line is: hang up and drive, don't use your phone, two hands on the wheel, concentrate." Similar bills have advanced in previous legislative sessions, but this was the first time that one reached the House floor. Hornstein credits the loved ones of several victims of distracted driving accidents, who have worked on the issue for years. Some were at the Capitol again ahead of the vote. Karin Ilg of New Prague lost her husband, Phillip, in 2017. He was struck while bicycling by a distracted teen driver. "It's not even a right," Ilg said. "It's a privilege. It's a privilege to be on the road, and she did not take that seriously." Another supporter of the bill, John Dudley of St. Louis Park, lost his son Andrew in 2012, just five weeks before he was set to graduate from high school. "It's become a selfish entitlement mentality that I can text and talk on the phone, and I can drive at the same time. No," said Dudley. During the House debate, Rep. Mary Kunesh-Podein, DFL-New Brighton, shared a similar story. Her father was killed by a distracted driver. Kunesh-Podein said such tragedies are preventable. "There should not be another death. There should not be any more injuries. And if we have an opportunity to make difference, how can we say no?" Rep. Paul Torkelson, R-Hanska, supported the bill but criticized a provision that requires a study of traffic stops. Torkelson said the study, which would look at several issues including racial profiling, is an unnecessary complication. "The study that's required as part of this bill goes well beyond distracted driving and changes the scope of the bill fairly dramatically in my opinion," Torkelson said. Hands-free legislation is poised for a vote by the full Senate. There are differences between the House and Senate bill. The Senate version, for example, allows for an exception for operating GPS devices. Hornstein said he is optimistic that the differences can be worked out and that a final bill will reach Governor Tim Walz in the coming weeks. Lawmakers are considering separate legislation to increase the penalties for distracted driving. Rep. Eric Lucero, R-Dayton, said the bill discriminates against drivers who own older vehicles without hands-free technology. "I think it's profoundly unfair that we're going to treat people that drive newer vehicles and can perhaps afford newer vehicles differently and with a greater privilege than those that drive lesser valued vehicles," he said.